Front desk service has been consistently excellent and friendly. Angeline has exceeded expectations and took care of all my additional requests. She deserves special recognition by the organisation. I have recently changed my car leasing company to ComfortDelGro. 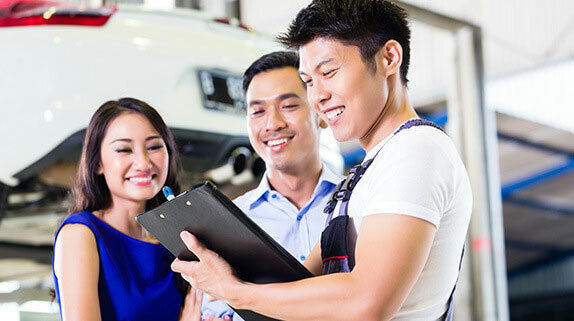 Ms. Marie Lin and her technical team like for example Mr. Iskandar are offering a superb service to ensure that customer's expectations are met at any time. In fact the whole set up of the company from delivering the car till maintaining and servicing the vehicle is very professional and strong. There is a hotline which can be called around the clock and the sales and service person is also very helpful and service-oriented whenever you need some assistance. I always feel they are only one phone call away to settle an issue. I've just had my car serviced and it has been handed back in a fantastic condition. Please thank Danny and all his team mates for a wonderful job. ComfortDelGro have provided me with excellent service and I thank you all. We've been with ComfortDelGro Rent-A-Car for nearly 10 years now! We're currently renting a Honda Vezel from them. The car is very economical with petrol, compact and has a great drive. It's also very easy to upkeep and keep clean. ComfortDelGro Rent-A-Car offers great service; their team is very professional and they communicate well with customers. Our car is always kept well-maintained by the company, from replacing its window washers to other bigger maintenance projects. Having a rental car is fantastic! 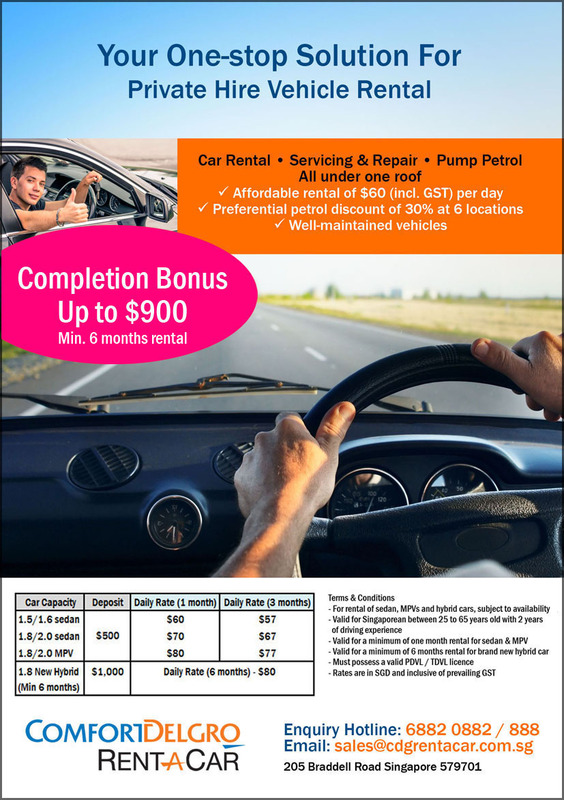 ComfortDelGro Rent-A-Car, the market leader in the Singapore’s car rental & leasing industry, offers car rental & leasing services as well as chauffeur-driven services on a daily, monthly and long term basis. We bring you a large selection of vehicles if you need to rent a car in Singapore. We provide both short-term and long-term car rental & leasing for individuals as well as corporate car rentals & leasing for organisations. Thank you and your team for confirming we have the right partner in ComfortDelGro Rent-A-Car for our car rental needs. Your team is indeed a team of well-trained and dedicated staff providing fast, efficient and professional services.